Kajal Aggarwal's elegant body language gels quite well with her mesmerising look and ups its recall value in a big way. 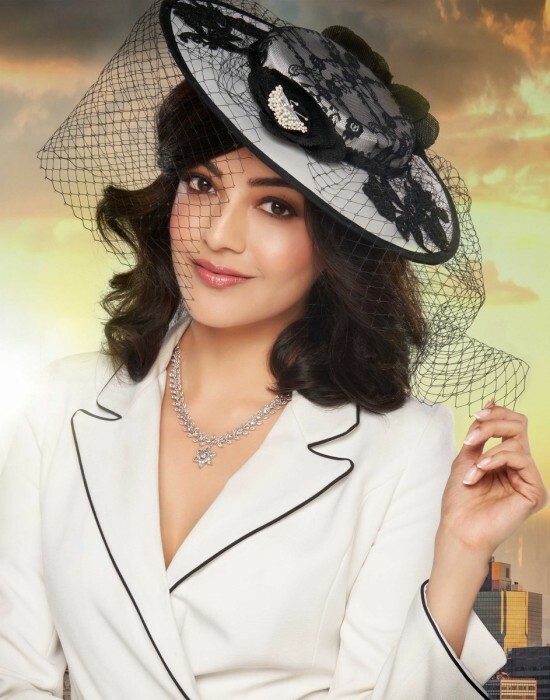 Are you a fan of the much-loved Kajal Aggarwal? If yes, then get ready to rejoice as we have some awesome news in store for you. In an exciting development, some photos from her latest photoshoot for a noted photographer are creating quite a buzz on the social media and that too for all the right reasons. In them, she can be seen in a vintage and classy look that she carries of like a boss. Her elegant body language gels quite well with her mesmerising look and ups its recall value in a big way. That’s how you make an impact! We are sure that these pics will make fans go weak in the knees. On a related note, 2017 was a good year for Kajal. In August, she starred opposite Rana Daggubati in ‘Nene Raju Nene Mantri’. Thereafter, she delivered a solid performance in ‘Vivegam’ and gave strong proof of her abilities as an actress. Her last major release of the year was ‘Mersal’ which also had Vijay in the lead and did exceptionally well at the box office. At present, she has ‘Queen Once Again’ and ‘Awe’ in her kitty. ‘Queen Once Again’ is a remake of ‘Queen’ and will see her essay the role played by Kangana Ranaut in the Bollywood version. Some time ago, she had said that this is a challenging film for her as her personality is different from that of her character. As far as ‘Awe’ is concerned, it is a Nani-production and also has Nithya Menen in the lead.